It may be May, so it may be that you are thinking about August. Have you registered for our National Weather Association 43rd Annual Meeting in Saint Louis yet? Have you booked your hotel? What are you waiting for? The early bird gets the worm. A stitch in time saves nine. She who books first, books best. Start checking flights if you want that window seat for admiring the atmosphere. Many U.S. airlines now promise to refund the difference if your purchased ticket price goes down before the flight. When we converge to meet up, you might hook up. I mean that professionally! At the NWA annual meeting, you might find new colleagues, potential hires, and maybe even a new job opportunity. We always see old friends and meet new ones, along with well-known experts in our field. We share expertise and walk away smarter and more well-rounded. 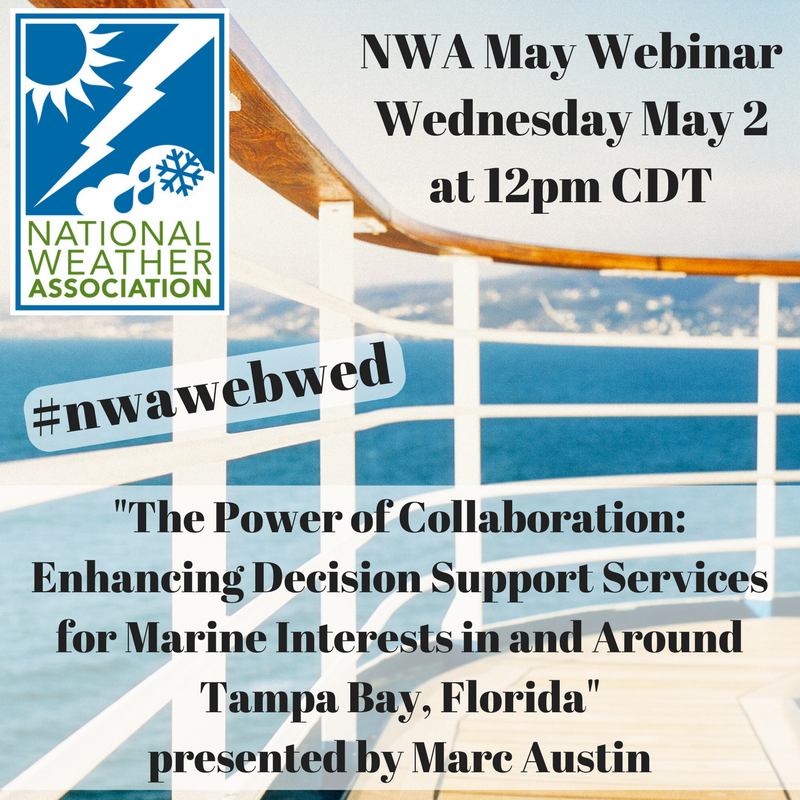 Since our meeting last year, your NWA staff, committees and Council have been diligently working to put together a quality conference for connecting operational meteorologists in pursuit of excellence in weather forecasting, communication and service. That’s our mission—literally. It takes a tremendous amount of effort, coordination, and time by our Annual Meeting Steering Committee to review abstracts and deliver a dynamic and diverse palette of presentations, sessions, speakers and topics. Not only will we touch on tools and techniques to aid in our daily endeavors, but we’ll look at the things around us that play a role in how we do our jobs. The gathering will have a little something for everyone in the traditional presentations and in the special events. Some events will be social, others will be professional. Along with sessions on new weather technologies, we’ll also go retro and look back at historic weather events of 25 years ago. That would be 1993 when Whitney Houston sang “I Will Always Love You”, a postage stamp was 29 cents, and a gallon of gasoline was $1.16! Can you remember what the two biggest weather events were? If not, you’ll find out. If you can’t make it this year, or even if you are attending, invite colleagues who have never been to an NWA conference or who have not been to one in a long time. Share the good word with co-workers and students who may not know about us that this is the place to be. The time is now to register and make plans for our annual meeting in Saint Louis. 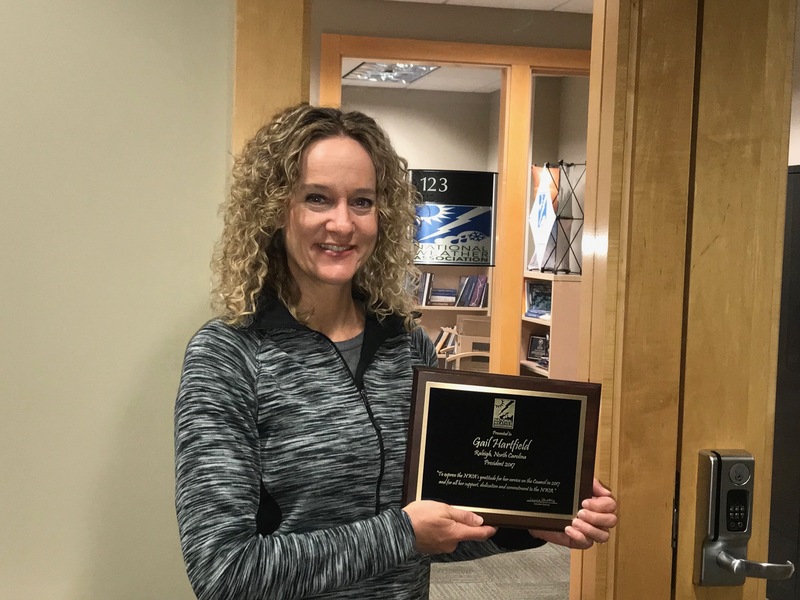 Help us give a big hearty congratulations to Ingrid Allstaedt of WLOS Asheville, North Carolina, for being awarded the NWS Weathercaster Seal of Approval! Ingrid has worked at WLOS since 2010 and is a graduate of both Mississippi State and UNC Ashville. It may be hard to "catch" Ingrid as she was a member of the track and cross country teams for UNC Asheville. "If I wasn't doing weather, I would love to travel the world with my own travel show," exclaims Allstaedt. She grew up in western North Carolina, and it was the four distinct seasons and how they change that made her fall in love with weather. "The weather here is never predictable," she says. Luckily, she has a shiny new seal to back up her weather predicting capabilities. She and her husband have a 2-year-old with a new baby on the way. Therefore, double congrats are in order! Registration and hotel rooms for the Annual Meeting opened in the last few days, and you are hopefully making plans for travel to St. Louis. Please consider arriving on Friday, August 24, and taking part in the Third Annual National Weather Association Foundation WeatherReady Fest. 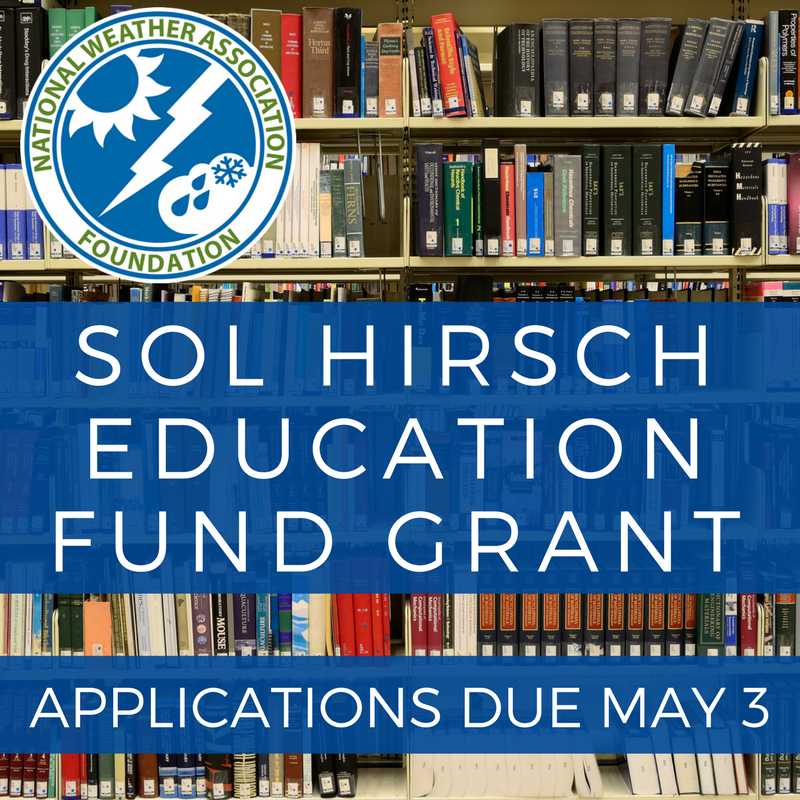 This is your opportunity to interact with thousands of Missouri and Illinois citizens and families who are interested in learning more about the weather and being weather ready. We have plenty of opportunities for you to make a difference during the event on Saturday, August 25, from 9:30 a.m. until 5 p.m. at the St. Louis Science Center. At the end of the day you will be tired, but exhilarated from a day of volunteering in one of dozens of roles. 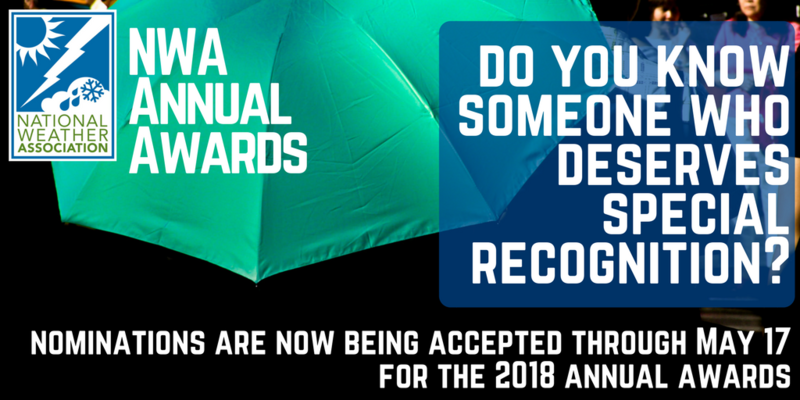 Whether you can come to the event or not, we need your help in planning the exhibits, demonstrations and games, gathering weather door prizes, promoting the event, and securing sponsors. It is a huge team effort! Help us make a difference—contact Bill Murray at [email protected] to volunteer. Hurricane Season is just around the corner. Various organizations are putting out forecasts for the season. Most, like the Colorado State University Tropical Meteorology Project, are forecasting slightly above average activity for 2018. Regardless of how many tropical systems form, it only takes one to wreak havoc on a community. Always be prepared. Being prepared begins with knowledge, and Weather-Ready Nation is supplying that knowledge through National Hurricane Preparedness Week, May 6-12, 2018. The website has a link for each day during the week that provides information to help you prepare for the season. Also during this week, the Hurricane Hunters and NOAA are conducting the Hurricane Awareness Tour at stops in Texas, Louisiana, Alabama, and Florida. If you can make it, come out to ask questions of the flight crews, the hurricane forecasters, and others who play vital roles in monitoring and predicting these storms. Admission is free. Knowledge is power. Be informed, be prepared. 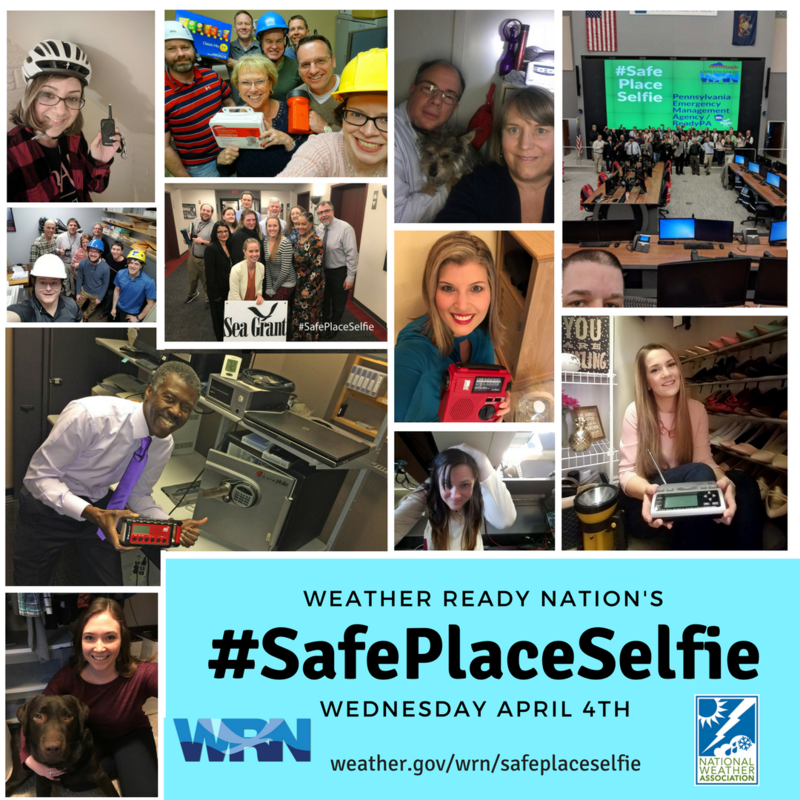 On Wednesday, April 4, 2018, the #SafePlaceSelfie campaign returned and took #WxTwitter by storm! 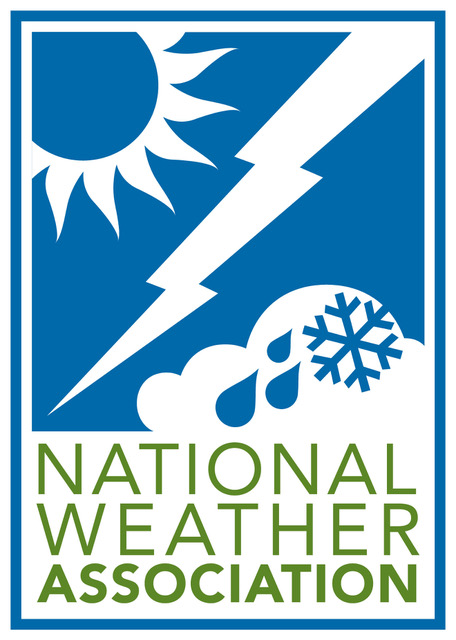 The campaign, now in its third year, has become one of the cornerstone social media safety and preparedness campaigns of NOAA’s Weather-Ready Nation (WRN). 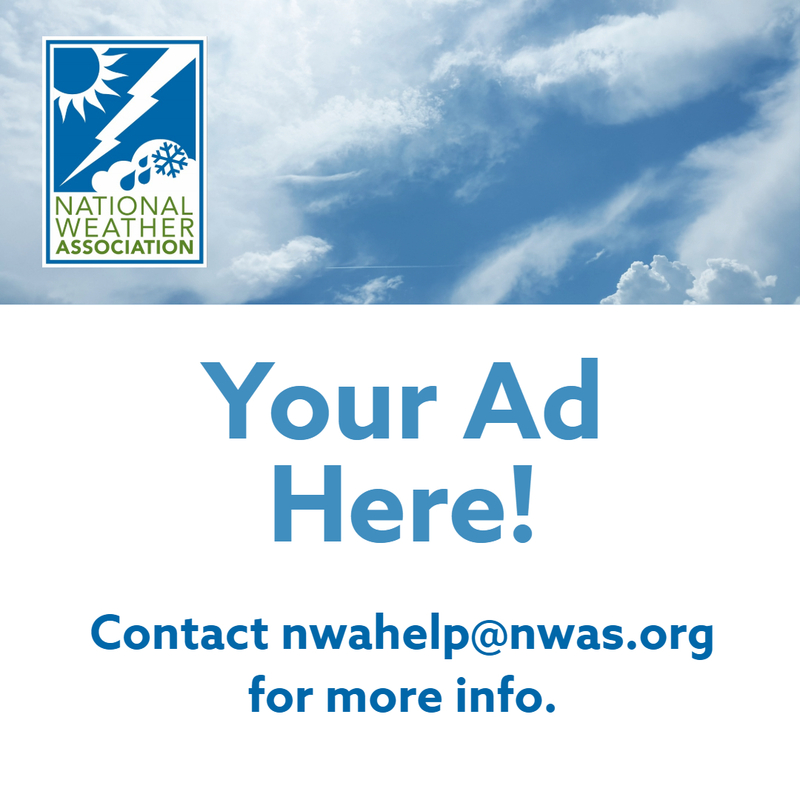 The campaign is led by the NWA, NWS, and thousands of WRN Ambassadors across the country of all backgrounds. Many NWA members, including 2018 President Alan Sealls, participated and submitted selfies while sheltering in their safe places at home, work, or elsewhere. Over 1,500 submissions were sent in from NWS offices, broadcasters, WRN Ambassadors, students and the public. On Twitter alone, the hashtag reached over 12 million people around the world, which is almost three times more than 2017. Submissions were made to Facebook, Instagram, and Snapchat as well. Matt Bolton, a psychology student at Saint Leo University, is conducting a study on the workplace well-being of meteorologists. This study seeks to examine various factors related to workplace burnout, stress, anxiety, depression, and other psychological outcomes that may impact meteorologists’ on-job performance. It is hoped the results will inform better discussion around mental health in the meteorological workplace, and that they might lead to employers being better aware of, and more accommodating towards, mental health needs in the workplace. Matt would appreciate your participation in his anonymous survey. This should take about 15-20 minutes, depending on your reading and response speed. 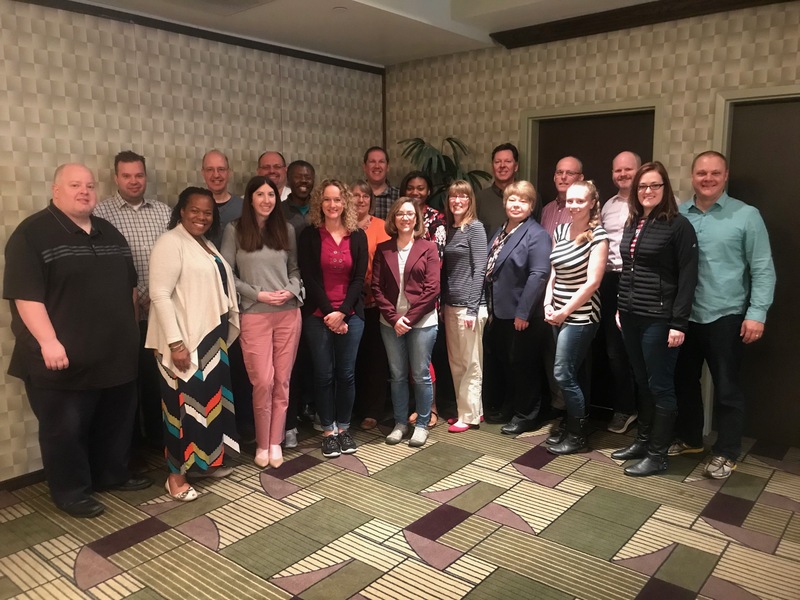 NWA Council met in Norman, Oklahoma, where our head office is located, for their mid-year meeting on April 20 and 21, 2018. Front left: Jared Guyer, Tyra Brown Harris, Tanya Schoor, Gail Hartfield (immediate past president), Gina Eosco, Kathy Sherman-Morris, Susan Jasko, Hulda Johannsdottir, Christina Crowe, Paul Schlatter (president elect). Back left: Chad Gravelle (secretary), Pat Spoden (commissioner of committees), Jon Zeitler, Alan Sealls (president), Janice Bunting (executive director), Greg Stumpf, Amber Liggett, James Reynolds, Lans Rothfusz (treasurer), Nate Johnson. Missing from picture are Jennifer Hogan, Jennifer McNatt, and Lisa Spencer. Council members at the council dinner on April 20, 2018. Gail Hartfield, immediate past president, was presented with a plaque thanking her for her service to the NWA during her presidency in 2017.